JAKARTA, March 29, 2015 - Ahmad Nufiandani of Indonesia gestures after scoring against Brunei Darussalam during the qualification match of Group H at the AFC U-23 Championship 2016 at Gelora Bung Karno Stadium in Jakarta, Indonesia, March 29, 2015. Indonesia won 2-0. 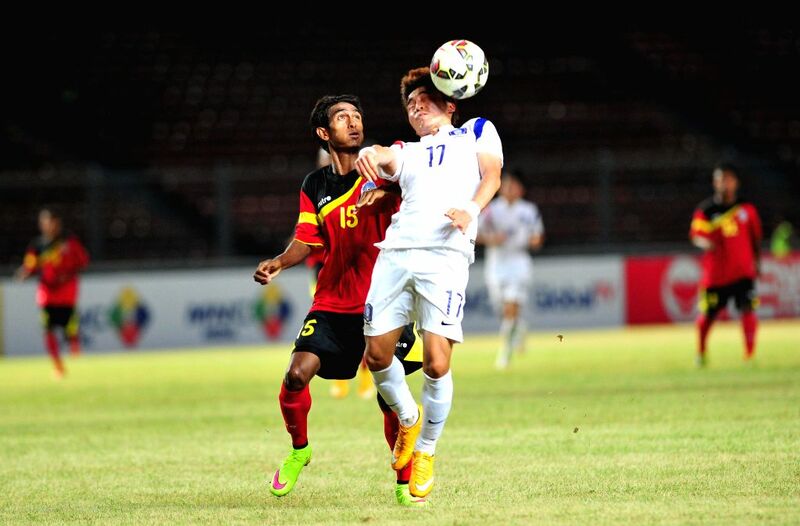 Moon Changjin (R) of South Korea vies for the ball against Agostinho of Timor Leste during the qualification match of Group H at the AFC U-23 Championship 2016 at Gelora Bung Karno Stadium in Jakarta, Indonesia, March 29, 2015.